What would you do with an extra eight hours of productive time per day? Sleep? Work? Play? Or maybe spend some time working on your overall sense of well-being, spirituality or mindfulness? Interesting question, but the problem is we still have to fit everything – work, family responsibilities, restorative time, and more into a standard 24-hour day. Most people feel that there is not a whole lot that can be done to increase the amount of productive time in a day… but Dream Sculpting aims to address that issue. Dream Sculpting leverages the phenomenon of lucid dreaming, an established practice that has gained serious traction over the past several years. In this review, we’ll look at the Dream Sculpting course and examine its pros, cons and unique features that promise to help you harness the power of your dreams. Every human being on the planet dreams. Every human also sleeps (though it seems like some of us aren’t getting our fair share…right?) If we get about 7 hours of sleep per night, that equates to nearly 50 hours of basically unproductive time each week. When students of the course learn about the opportunity presented by lucid dreaming, they’re pretty excited. Lucid dreaming refers to when an individual experiences a dream and they are aware, in the moment, that they are dreaming – they may even have some control over their actions within the dream. 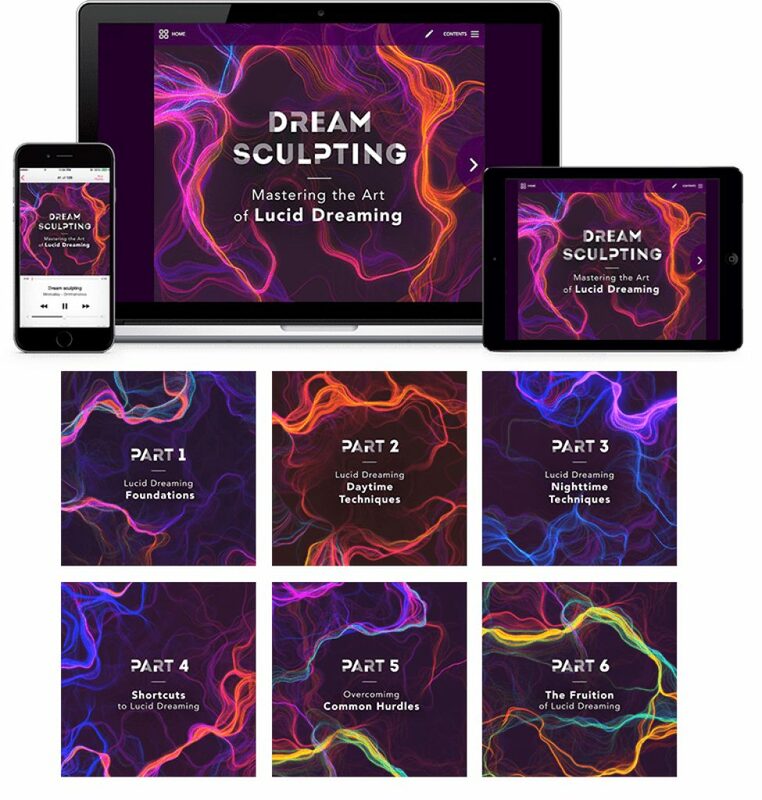 Dream Sculpting helps you harness the power of lucid dreaming. Over the course of 6-weeks, you’ll interface directly with Andrew Holecek – the facilitator of the course who has worked in conjunction with leading interactive educational group, Mindvalley for years. Mindvalley has 3 million students from around the world, so they are certainly considered leaders in the field. Six recorded lectures, guidance audios and homework exercises that help you go from beginner to graduate-level lucid dreamer in six weeks. Huge network of supportive individuals who are working through the course at the same time. Virtually anyone can benefit from the profound benefits of lucid dreaming – oftentimes within the first few days. The course contains some of the most life-changing enlightenments and it really works. So, to answer the question: it will probably help just about anyone! Here’s what can happen when you use Dream Sculpting to unlock the consciousness within your sleep. Most course participants enjoy positive changes within the first few days. You can boost your sense of happiness, confidence and even improve your skill set. Legendary golfer Jack Nicklaus famously used lucid dreaming to improve his golf swing. The course provides most students with a level of confidence that they previously thought unattainable. You can minimize trauma, depression and even nightmares because you learn to harness control over your dreams and even create alternative endings to bad dreams. 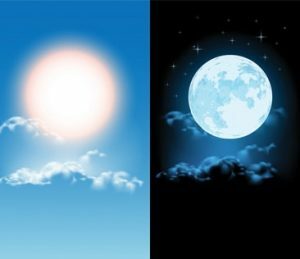 Lucid dreams, by nature, are generally uplifting and inspirational – and those with a history of nightmares may find that lucid dreaming helps provide a sense of safety and security in life. 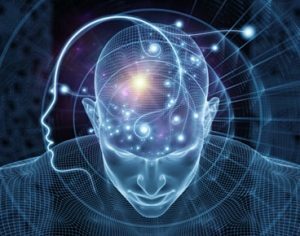 Lucid dreams have birthed many inventions, as your mind is less restricted and operates in a more innovative manner while dreaming. Many also use lucid dreams to help discover ways to manage difficult situations at work or in their personal life. The art of lucid dreaming affords the sleeping individual the ability to “try out” a situation while dreaming, and then determine if it is the correct course of action. Lucid dreaming has been shown to help speed up healing and even reduce pain and related symptoms from minor to moderate illnesses. Though not a replacement for actual medical care by a doctor, studies have shown that there are correlations between those who study lucid dreaming and speedier recoveries from injury. You can boost your sense of adventure. Since you’ll learn to impose some level of control over your dreams, you can basically choose your own adventure, from time to time. You won’t necessarily be able to dream about exactly what you want at any given time – as you can’t 100% control your sleeping mind, but you will be able to make directional changes during dreams that create story lines you’ll remember for a lifetime. It does cost several hundred dollars to a thousand, or more – depending on the price at the time you begin. While most feel it’s 100% worth it, you’ll want to budget for it. If you like to sit in a classroom and learn, you’ll have to adapt to a more independent learning style. So… that’s about it! This course draws upon both modern scientific practices and centuries-old, Eastern meditative and spiritual ideas to help students become lucid dreamers in a matter of days. The normal price for this course is more than a thousand dollars, but time it right and you can take advantage of some of the big sales Mindvalley puts forward throughout the year. Many students end up paying less than $500 for the entire course, including all support materials. When you look back at how this course benefits your overall sense of wellbeing, the price of admission seems laughable. Most people are skeptical by nature, and plunking down almost $500 for a course that isn’t readily understood might be a stretch for some. But when you consider that those of us who want to live fuller, richer lives often spend $100-200 an hour on therapy or counseling, the course seemed like a bargain. Dream Sculpting will help you learn to harness your dreams. You’ll use new techniques to help make life decisions and to feel more confident at work and in social situations. If you’re looking for a course that will help you become more aware of the potential already locked inside you, this is the one. Many of us spend a big chunk of our lives looking for a way to maximize what we know we’re capable of, and Dream Sculpting just might be the perfect answer.